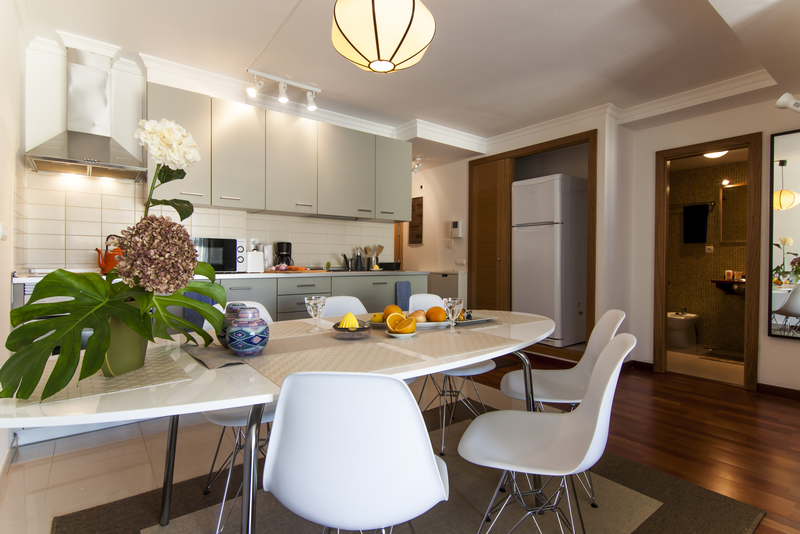 Set in an excellent location, the contemporary CASTILLO house offers three quality apartments. The location is close to many of the best restaurants, cafes, bars, shops, museums, theaters and the Vegueta Food Market Hall. CASTILLO is just a one minute walk from the Cathedral of Las Palmas. Unlimited free WiFi is available and there is a free parking place within the building! Gran Canaria airport is a twenty minute drive away and a shuttle service is available for an extra charge. The Canteras beach is a ten minute drive away. Excellent new VERANDA apartment, in a superb location, accommodates up to six guests. There are two double bedrooms and a double sofa bed in the living room, fully equipped kitchen, a bathroom and a small veranda. Total area is of 63 m2. NOTICE for the tall people: The double bed in the smaller bedroom is in between walls that are only 199 cm apart. VERANDA provides the bed linen, towels, beach towels, toiletries, hairdryer and the cleaning at the end of the stay; plus an extra cleaning in the middle of the stay when you book for more than 7 days. If cancelling more than 2 weeks before arrival, a 85% of the reservation will be refunded. If cancelling 2 weeks before arrival, or less, a 50% of the reservation will be refunded. In case of no-show, nothing will be refunded.